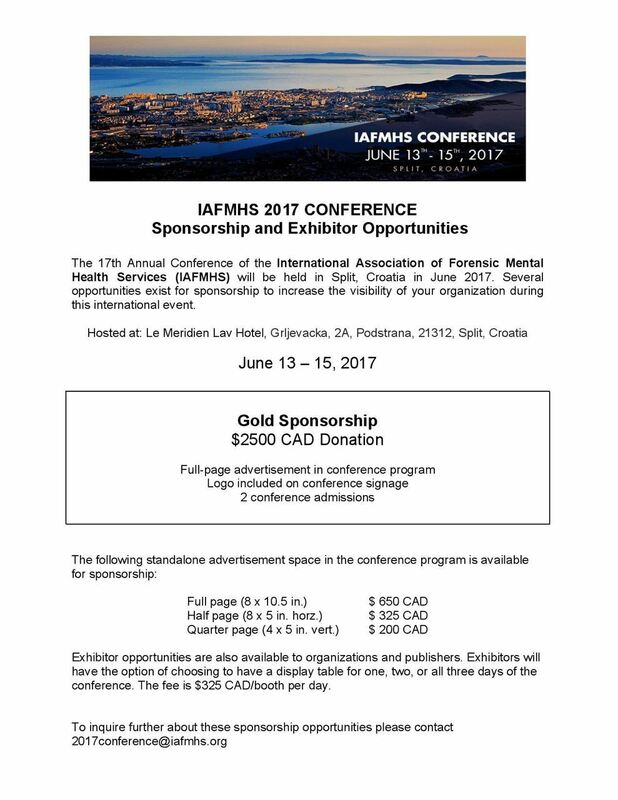 Is your organization looking to broaden its reach and increase exposure among forensic clinicians, researchers, and policy makers? A number of opportunities are available to advertise with us at the upcoming conference in Split, Croatia. See below for details.